3. Can cut a new key by bitting number, when original key is lost. 4. Support 10 languages including English, Spanish,French,German,Italian,Korean,Portuguese,Russian, Turkish, Czech. 6. 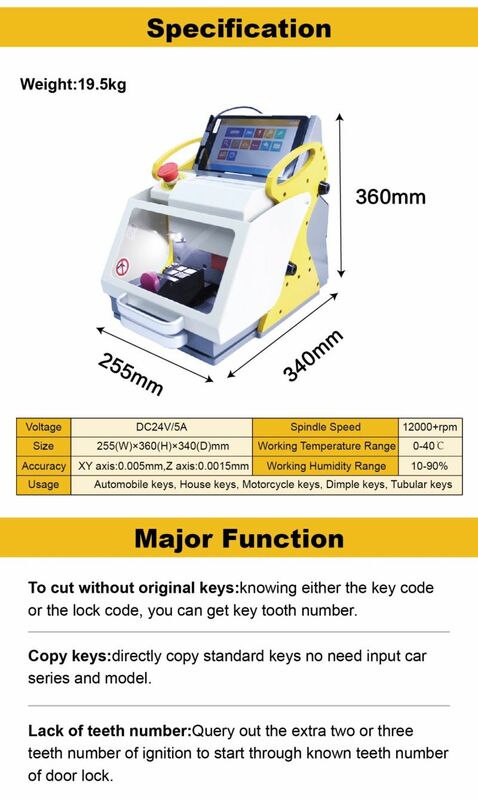 Can cut automobile keys,motorcycle keys ,dimple keys, tubular keys, and single-sided standard keys. 12. How to use SEC-E9 Machine (video)?